CALL US (09) 816 8649 now for 1 free lesson! Our focus is to deliver a high standard of Martial Arts training to people of all ages in our community. 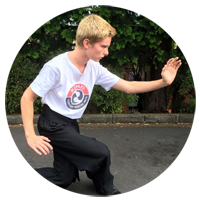 At the School of Martial Arts you will find the most complete Martial Arts Training schedule available in West Auckland. We have a number of different class times in convenient locations, run by highly experienced and dedicated instructors. Shaolin Kempo is a traditional Chinese Martial Arts system that has its roots in Chinese Gung Fu (Kung Fu). Our classes are great for both children and adults with training targeted specifically to students’ age and experience. Our Tai Chi and Qigong classes focus on improving students’ overall health and fitness through mindful, gentle exercise. Tai Chi improves posture and breathing, massages the internal organs and releases tension and stress. Our students also find that it improves physical, energetic and mental balance and stability. Classes are held both during the day and outside of work hours. Self-Defence is an area that we here at The School of Martial Arts are very passionate about, particularly for women and girls. Community based courses run throughout the year. The true measure of any teacher is in the qualities exhibited by their students and Senior Master's students are a testimony to his ability to inspire and motivate leaders of the New Zealand martial arts scene.The Martial Arts permeates through senior master's daily life and leading by example as a person, he displays the qualities and virtues you would expect in a high-ranking master instructor. 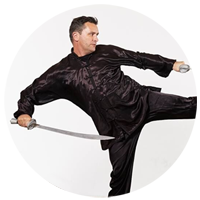 Having had exposure to various international martial arts instructors, I can vouch that training under Senior Master's leadership will deepen your knowledge of training techniques and principles and provide real value beyond expectation. Why Choose the Quintin Derham School of Martial Arts? The School of Martial Arts provides world class Martial Arts tuition and training for adults and children of all ages. 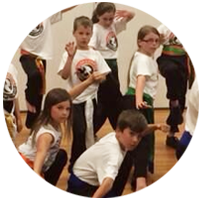 Our holistic approach to learning Martial and Energy Arts provides a complete exercise system for mind and body.